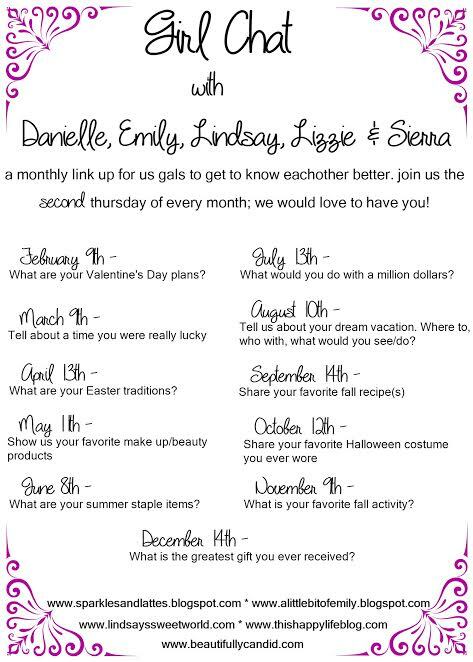 Thank you for joining us for another month of our girl chat link up. It's always nice to connect with other bloggers and get to share our thoughts together. Sometimes this blogging world can make you feel like a tiny fish in a huge ocean, so having those supportive friends is a big help. This one was kind of hard for me because if you've been visiting this little space of mine then you already know I'm a bit of a travel bug. I would love to visit as many places as I can and I feel like I have so many one day trips on my list of places to visit. 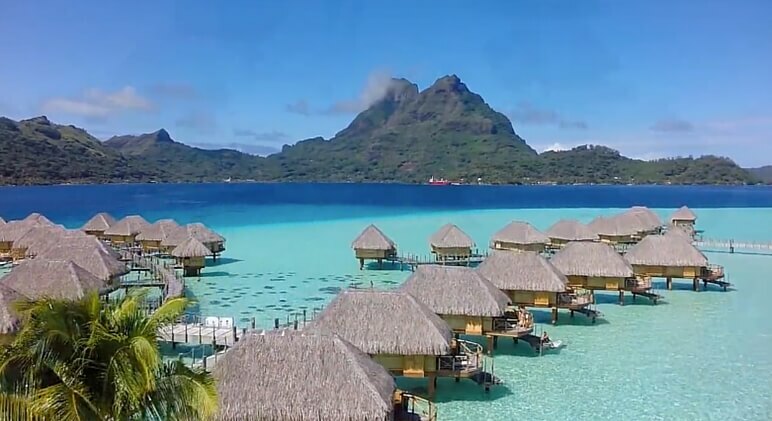 But, for as long as I can remember I have always wanted to go on a vacation and stay in one of those over the water huts/bungalows—my top pick would be in Tahiti. Have you seen the pictures of this place?! Talk about paradise. Not only does it look beautiful, but while my Grandfather was in the Navy, he always talks about how San Diego and Tahiti were his all time favorite places when he traveled. Just hearing his stories makes me drift away in my mind envisioning how amazing it must be to visit this little slice of paradise. Of course we've looked into planning a vacation here but there's one little problem, it's not exactly the most cost effective trip. I'm hopeful that one day we will be able to get there and when we do, I'm sure it will be a dream. I could just imagine how amazing it would be to be over that beautiful water and feel like you're floating off in the sea. I hear that a lot of the huts have glass floors so you can see fish swimming under you. How cool is that?! I would also have to jump off the dock right into the water, because why not. I would love to explore the island and see a few waterfalls and swim with the sea turtles, but I really think this is a vacation I would want to relax and just take it all in. We love exploring on our trips, but we aren't the type of family to try and pack it all in in one visit. The last thing I want to do is feel like I need a vacation from my vacation. Thankfully this mindset has really worked for us and allows us to have the best time on our trips. I'm coming for you one day, Tahiti. Now that I'm off day dreaming about being there, it's your turn...where would your dream vacation be?